Summer “Recruiting Camps” on college campuses, run by college coaches, are becoming increasingly popular. Summer “Recruiting Camps” on college campuses, run by college coaches, are becoming increasingly popular. As a result, there is an increased curiosity about how beneficial playing at these types of camps can be in a player’s college recruitment. There is certainly an important place that these college recruiting camps can fill in some recruiting processes, though the overall recruiting process for most players is bigger than what these camps alone can provide. The most critical component for college recruitment remains competitive play and tournament results. Concrete playing experience and proven results remain the starting point for most coaches in assessing a recruit’s compatibility with their program. Top level programs often rely on successful tournament results as the best indicator of what a player may produce in the future. Even lower level programs which may not be as concerned with win/loss records still want to know that recruits are comfortable in competitive situations and are willing to put themselves on the line and deal with match pressure. 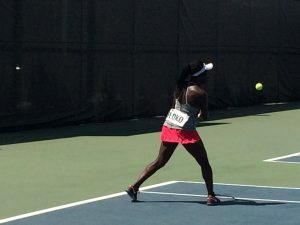 When recruits are planning their tennis schedules, they need to factor in enough tournament play, but also account for appropriate training experiences which will prepare them for that tournament play. This is where college camps can be a key part of the overall schedule, but they cannot substitute for opportunities to get significant data behind TRN ranking and UTR ratings. 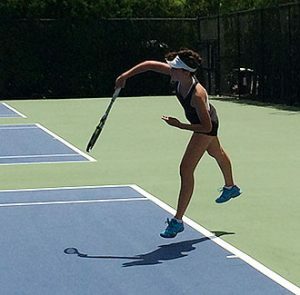 And, with the number of valuable playing opportunities, especially over the summer, it can be difficult for a player to fit in more than one or two camps when there are so many other events including USTA or ITF events, showcases, ITA summer circuit events, etc. One of the greatest benefits of enrolling in a college recruiting camp as part of a player’s overall schedule is the fact that college coaches may see things from a player that might not be as evident in a shorter term competitive situation. Given that camps allow for more consecutive hours of play, coaches can get a deeper sense of a player’s overall work ethic, attitude, preparedness (for example, showing up on time with enough rackets strung and gripped, water, appropriate apparel, etc. ), mental and emotional approach to training, “coachability” (how well a player responds to, and implements, coaching), interaction with peers in a group setting, handling of challenges or adversity (such as playing long days in hot conditions, switching from outdoor to indoor sites, etc.). Camp participation can be a good chance to highlight some of the more subtle and abstract, yet important, assets that a player may bring to a college team in addition to competitive experience. Camps not only allow college coaches to assess potential recruits, but allow recruits to gain a better understanding of a coach’s style, how demanding he or she is, and his or her coaching philosophy. It is a great way for a player to determine whether that coach may be the right fit for a player’s own playing style, personality and goals. Sometimes the coach running the camp will invite a handful of other college coaches to help with the on-court training so that those coaches also get to see participants in the camp who may be right for their programs. In these instances, a recruit can also get to know the on-court coaching styles of coaches from other schools they might be pursuing. 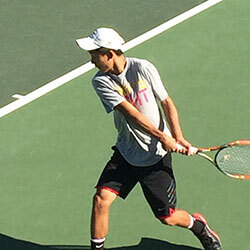 Additionally, many of the camps held at colleges and run by college coaches draw players who are seriously considering college tennis and are often hoping to play for that particular school. As a result, these camps tend to have either a higher or more targeted level of play then other standard camps. It is a safe assumption with these camps that participation shows a strong level of interest in, and commitment to, college tennis and recruitment. These camps, while still intended to be fun summer experiences, may have a more desirable seriousness of purpose for some players. getting a long look from a coach at a college camp will certainly allow you to highlight your strengths but may also expose your weaknesses, so you need to be prepared to show, and be confident in, your whole game. For example, weak net play might be able to be hidden in a singles match, but likely not in a camp environment. participating in a camp at a college of interest may provide a unique exposure experience, but it will not necessarily count against a player in recruitment if that player is not able to attend the college’s camp. The recruitment process is much longer and more complex than a singular camp experience, so not being able to do a camp does not necessarily hurt a player’s recruitment to that program if he/she is a good fit for that team and he/she has gathered attention from the coach via other avenues. a college’s recruitment camp is not a guarantee that a player will be recruited by that school and it should not be seen as a ”short-cut” for putting the long-term, consistent time into training and competing, and committing to the overall recruitment process. All in all, the growing number of recruiting camps on college campuses is an exciting trend that offers some unique and beneficial opportunities to college recruits. These camps, while potentially holding an important and valuable place in recruits’ summer schedules, are only a part of the overall recruiting process. While they are activities to seriously consider as part of a player’s training regimen and can be beneficial in the recruiting process, prospects should also prioritize tournament play and longer-term personal relationship building with college coaches.